All you need for this fun wreath is some old books, a straw wreath, ribbon, and hot glue. First, wrap and glue ribbon all around your wreath. Second, attach some ribbon to your wreath so you can easily hang it up. 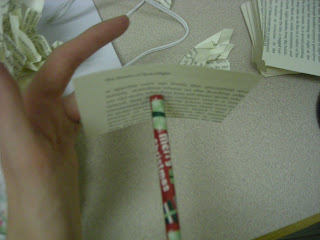 Third, cut your books up. I cut mine into rectangles measuring 3" x 4.5." Fourth, place the center of your rectangle over the end of an unsharpened pencil and then mash the paper around it. 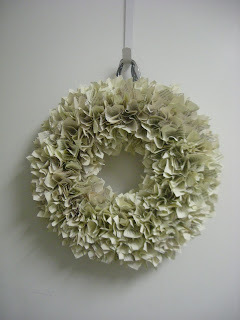 Fifth, put a dot of hot glue on the end of your mashed paper and glue it to your wreath. 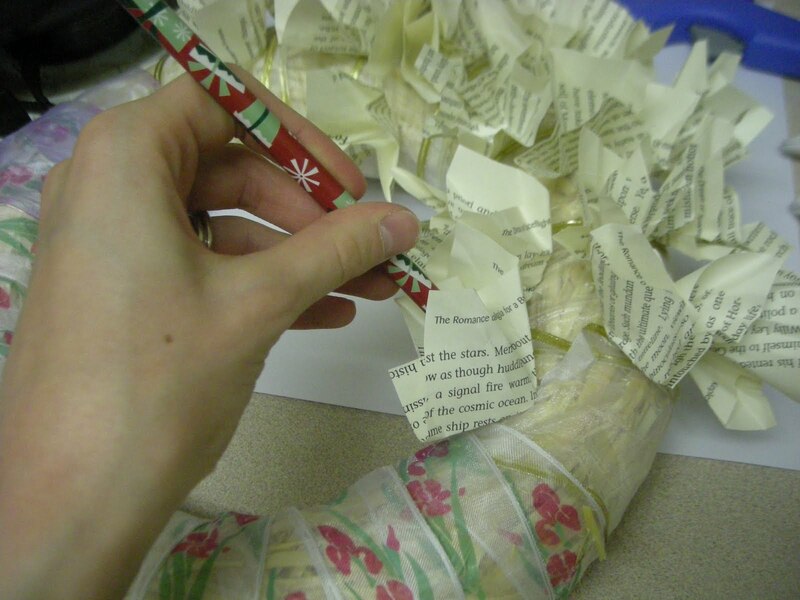 Repeat with each piece of paper until your entire wreath is covered. 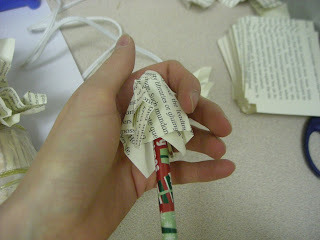 Note: cover your wreath loosely at first, leaving plenty of space between each piece of paper. 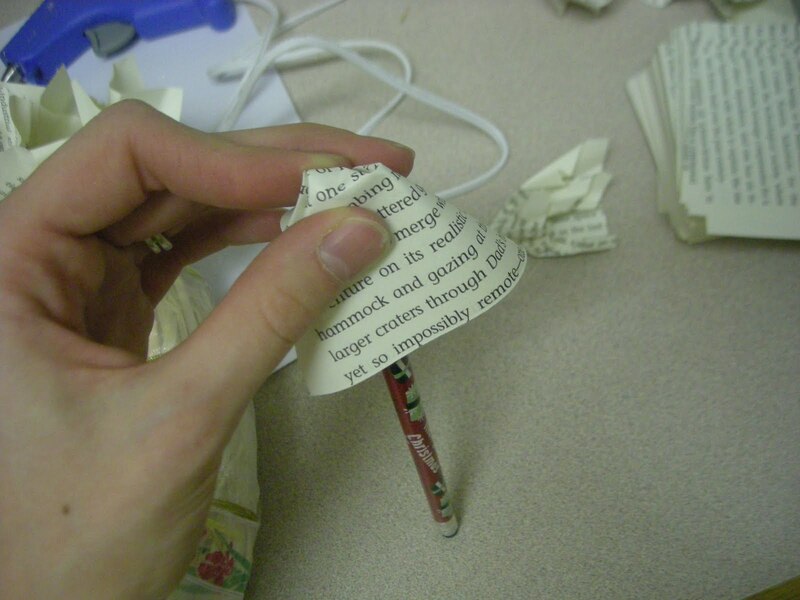 This will allow the glue to dry and keep your pages from pushing each other off (and making you glue them down all over again). 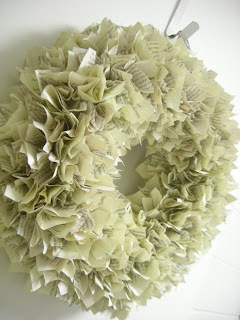 After you've done a loose covering you can go back and fill in the gaps until your wreath is nice and full. I can't wait to make this project. It is too cute! Thanks for the directions! Marie, I love this. It turned out amazing. 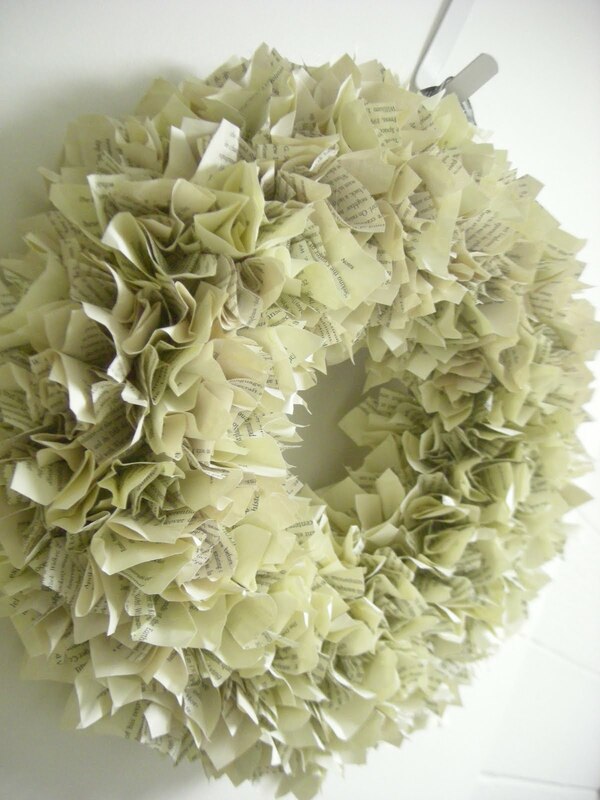 This would be so cute in a library/reading room! Thanks for sharing! I've seen a lot of these projects and love them! I really like how yours turned out, the way you molded each page looks perfect! That came out so pretty! Thanks for sharing it at my party, hope to see you there again Friday.